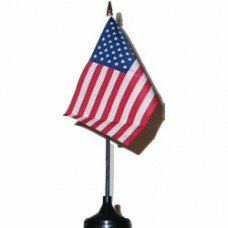 This 4 x 6 inch desk or hand flag comes with a 10 inch black or gold stick with a gold or black spear tip. It can be used for display with an optional base and is great for the job or home office. They also make great gift items.